My Paul Reed Smith (a.k.a PRS) Chris Henderson signature model with Tobacco Sunburst color. 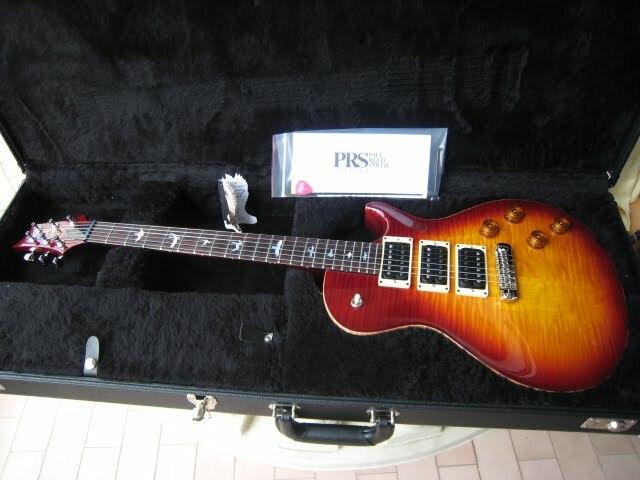 I bought it when PRS just released this model around year 2007. 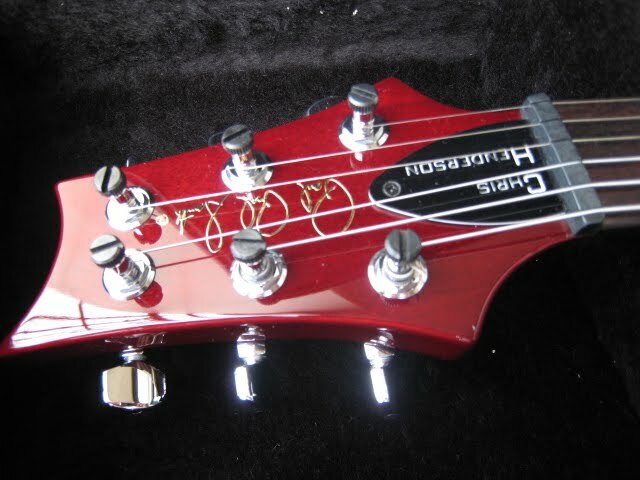 3-ply truss rod cover with the name of Chris Henderson. 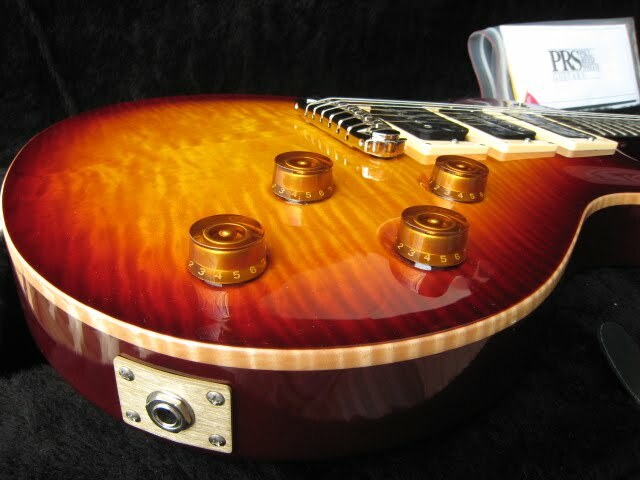 PRS Low Mass Locking Tuners, I really like them. 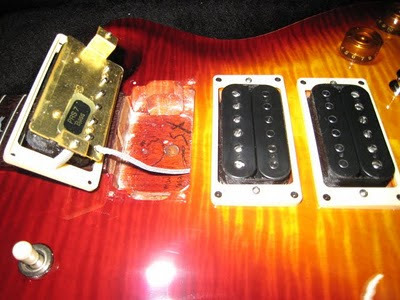 "250 Treble" on the bridge, TWO uncovered "PRS#7" pickups on middle and neck positions. 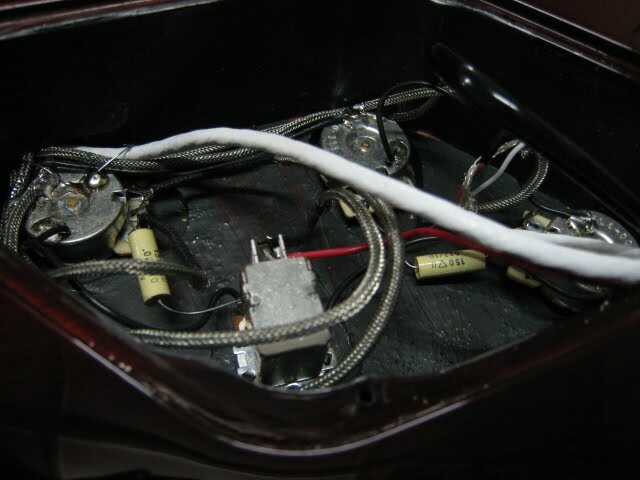 A "push-pull" pot on the tone knob activates the middle pickup. In "push" mode, there are just two humbuckers (neck and bridge pickups) involved in the circuit. Texas-style Blues Rock. This guitar is versatile, not only for HardRock or Nu-Metal. Another great feature of this guitar is the PRS "Adjustable" Stoptail. 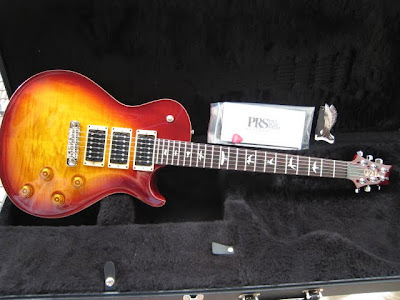 250 Treble pickup - One of the highest Output pickup from PRS. It sounds like a "Tremonti Treble" pickup to me. "Push-Pull" tone knob and vintage type capacitors. 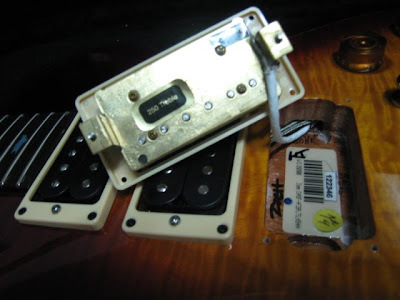 Those capacitors are unusual in PRS guitars. 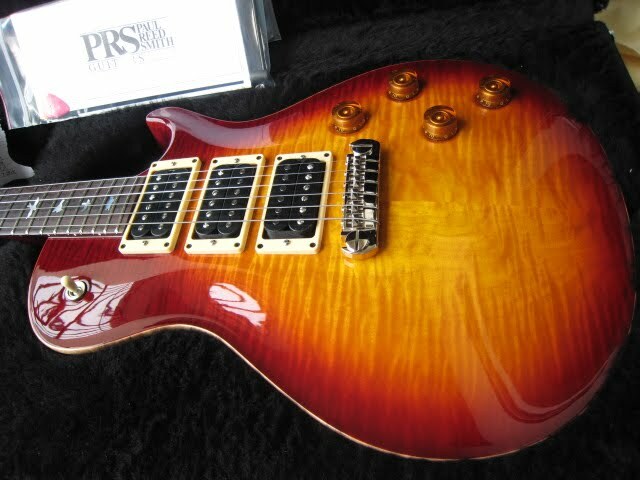 PRS natural flame maple binding. Chris Henderson signature model is one of the greatest Paul Reed Smith Singlecut models.